It’s time to go car shopping and you’re feeling the usual dread; not looking forward to visiting used car lots and dealing with slick sales people and shady selections. If you’re in the Green Bay area, you can rest easy, knowing the DePere Auto Center has your back with honest, up-front service and pricing, an expansive selection of Pre-Owned Vehicles of all varieties, and the type of expert automotive repair capabilities that will keep you on the road and enjoying your ride. 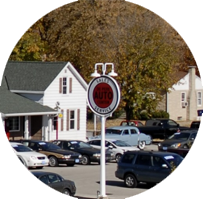 Since 1976, the DePere Auto Center has been dedicated to providing our surrounding community with excellent customer service and expert knowledge. We work as a team to make sure we can exceed all you expectations. We will change your mind about buying a used car by taking out all the uncertainty and frustration. We offer a top-notch selection of quality vehicles, all with no-hassle pricing you cn count on. At DePere Auto Center, we don’t simply sell cars; we offer the benefit of a trusted relationship for life. Imagine not ever having to worry about where to get your car serviced or where to buy your next one. Sounds good, doesn’t it? Well, that’s the only thing we’re selling; the promise of integrity and value. If you live in or around the Green Bay Area, we’d love to show you our brand of service. You won’t regret the short drive to DePere Auto Center. Contact our expert team at (920) 336-2200 to find out more about the benefits of doing business right here at DePere. We’re here to serve you and we look forward to your visit. We’ll see you today at DePere Auto Center.